Since their introduction in 1978, LEGO minifigures, also known as “minifigs,” have become arguably the most iconic aspect of the popular toys. These anthropomorphized pieces of plastic are a hot collector’s item, and with high demand comes high prices. These are a few of the priciest minifigs on the market today. This exclusive minifig featured a red baseball cap, a printed Red Sox logo on the front, and a LEGO logo on the back. It was given away to kids attending a BoSox game in the summer of 1999. It’s unknown how many were produced for the promotion, nor how many survive today, but when they appear on eBay, they regularly sell to die-hard fans of Beantown baseball. A related Red Sox promotion from the same year was a 1” x 2” Duplo brick with the Red Sox and LEGO logos printed on each side. Today, this tiny little brick will fetch $100 if it’s in good shape. The enigmatic bounty hunter Boba Fett is one of the most popular characters in the Star Wars universe, and he’s also one of the most popular minifigs. Fett was first seen in LEGO form in 2000 as part of the Slave I playset and has been featured in multiple sets since. However, the Fett found in 2003’s Cloud City playset is one of the most collectible. The figure was an update to the initial model and is one of the few minifigs with printed designs on the arms and legs. One of the most fun promotions LEGO has offered has been the “Build-A-Bilbo” event at 2012’s San Diego Comic-Con to tie in with the release of The Hobbit: An Unexpected Journey. After first stopping by the LEGO booth to pick up a specially-tagged burlap pouch, a piece of minifigure hair, and a map of “ComicCondor,” you then followed the map to other Hobbit-related booths to collect various parts of the figure. If you completed your quest, you’d have ... a Bilbo minifig exactly like the one released later in a Hobbit LEGO set. But, if you kept that burlap sack and the map of ComicCondor, suddenly that everyday minifig is worth a whole lot more. In 2011, lucky Comic-Con attendees could win the very first minifig of DC Comics’ Green Lantern. The figure was presented on a card made to look like a copy of the fictional San Diego Brick newspaper, with the headline “Super Heroes Unite!” emblazoned across the top. Obviously if you want to get top dollar for your Green Lantern minifig on eBay now, you’d better have that card. At the same Con, Batman minifigs were also given away on a similar newspaper presentation. Although it wasn’t the first time the Dark Knight had been seen in LEGO form (he’s been a staple character since 2006), it was an updated version of the figure with a more detailed print of his costume. To celebrate their new line of Teenage Mutant Ninja Turtle playsets, LEGO offered an exclusive “Dark Leonardo” (some call him “Shadow Leo”) minifig at New York’s Comic-Con in 2012. The figure, completely black and gray except for his brown turtle shell and famous blue mask, came with a special NYCC skateboard for surfing through the sewers of the Big Apple. Not many of the approximately 500 Dark Leonardo figures have hit the market just yet, but some have sold for as little as $225, while others have topped out at $350. 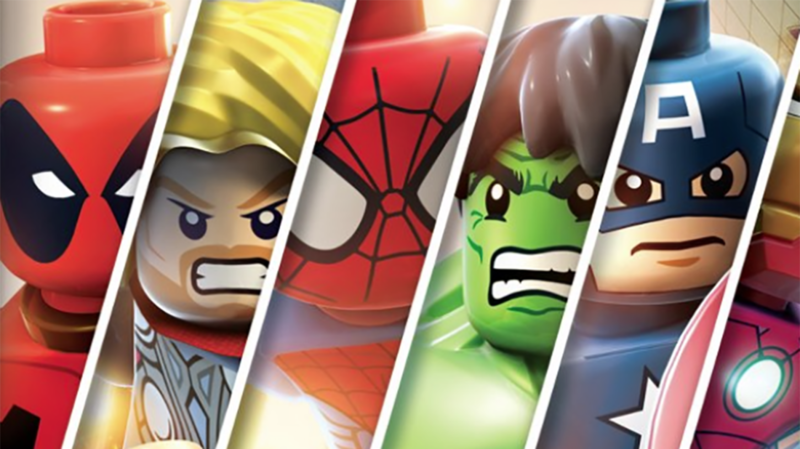 LEGO gave away more superheroic minifigs at last year’s Comic-Con. This time around they had a hooded Green Arrow and black-and-silver Superman modeled after the costume featured in the film Man of Steel. Both figures came inside a rigid plastic case with a background showing a city in peril, and were limited to only 200 pieces each, making them pretty rare today. Similar to their DC Comics counterparts, Spider-Man and Spider-Woman also got the SDCC exclusive treatment last year. Oddly enough, there are more of these figures out there—325 of each—but they actually sell for a slightly higher price. You can’t underestimate the popularity of your friendly neighborhood wallcrawler. In 2007 to celebrate the 30th anniversary of Star Wars, everyone’s favorite protocol droid got a bit of an upgrade. LEGO randomly added a gold chrome-plated C-3PO minifig to 10,000 Star Wars playsets. The figures were sealed in opaque white plastic bags, but the smart collector left the bag closed and can now sell the contents for hundreds of dollars on eBay sight unseen. The Man of Steel made his minifig debut at New York Comic-Con in 2011 alongside additional copies of the Green Lantern and Batman minifigs from that year’s San Diego Comic-Con. Superman was presented with the same newspaper-style cardboard backing as the other two heroes, but there were only 200 figures available. Because Supes was so scarce, he demands a top price today. At 2013’s San Diego Comic-Con, LEGO employees wandered the Con floor and handed out the figures to random passersby. This Azog minifig is exactly the same as the one included in retail Hobbit playsets, but this one is packaged in a plastic container with a cardboard background that features the Comic-Con logo. Boom! Instant collector’s item. Between April 30 and May 6, 2001, 300 alien minifigs from the short-lived "Life on Mars" line of LEGO toys were sent into orbit on the International Space Station. After returning to Earth, the figures were framed with a certificate of authenticity and handed out to attendees at a special ceremony held by LEGO and NASA, making them a rare collector’s item today. After all, not everyone can say they have a minifig that’s been to space. At LEGO’s exclusive collectors preview party during Toy Fair 2012, the company handed out 125 special edition minifigs of Marvel Comics’ Iron Man and Captain America. Instead of being modeled after the movie characters that were available in superhero playsets, these minifigs were modeled after the then-current comic book versions of the characters. The Captain America figure has black arms and legs similar to the modified costume worn by Bucky Barnes when he took over as the patriotic crime fighter after the original Cap, Steve Rogers, was killed. The defining feature of the Iron Man figure is the normal-sized minifig head with a printed-on helmet. In the playsets, the Iron Man figure has an oversized removable mask so you can see Tony Stark’s snarky smirk underneath. The minifigs came packaged together and most collectors refuse to break up the set. So if you want to get your hands on one or the other, you’ll usually have to buy them together. A few wise Toy Fair attendees have even included the badge and promotional flyer for the preview party in their auctions, helping to push the final price between $1500 and $2000. In 2010, recognizing how popular their little figures had become, LEGO introduced a set of 16 collectible minifigs, sealed in opaque plastic bags so no one could tell what figure was inside. The new minifigs included a caveman, a ninja, a robot, and a nurse. Since then, new minifig series are released every year. Series 10, released in 2013, featured an exclusive gold chrome plated figure known as Mr. Gold. This top hat and monocle-wearing, jewel-topped cane-carrying figure became the mascot of the series. Limited to only 5000 pieces worldwide, it has since become the single most expensive minifig on the market today. Prices vary wildly, ranging anywhere from $500 to $1100, so it really comes down to how much you need to complete your Series 10 minifig collection and how much you’re willing to spend to do it.